At Fremantle Commercial Diving our philosophy is simple; we invest in our people and our equipment, we listen to our clients and we aim to deliver outstanding, cost effective results every time. Our marketing claims are backed by real people, quality equipment and solid management systems. We deliver high quality client reports with meaningful graphics and we welcome client engagement and audits. We are always happy to explain or work methods, applicable legislative requirements and what implications these have for our clients. If you are looking for a truly professional diving service make Fremantle Commercial Diving your first choice. 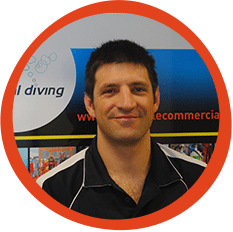 Ben began his commercial diving career in 2000 in the pearling industry before completing a bachelor of marine science with honours at the University of Tasmania. After graduation Ben worked at Huon Aquaculture in Tasmania for 4 years before returning to commercial diving in 2006 in the Northern Territory and Western Australia. Ben relocated to South America in 2007 working in Chile and Panama on inshore and offshore fish farms, managing vessel and diving operations in remote and challenging conditions. Ben re-joined FCD in January 2013 bringing a wealth of experience in the marine contracting field with him. A marine electrician by trade, Dean began his diving career at Fremantle Commercial Diving in 2007. His commitment to achieving results with planning, logistics and problem solving saw him rapidly rise to the level of diving supervisor, before being promoted to Operations Manager in 2012. Dean holds a wealth of knowledge in specialist diving fields such as penetration and potable diving. In addition to his qualification as a Marine Electrician, Dean is also an ADAS Pt. 3 Diver, Pt. 2 Dive Supervisor, certified NDT diver, commercial skipper, and dive medic technician. Antony began his diving in career in 2001, commencing at Tassal Salmon after completing a bachelor of marine science at the University of Tasmania. 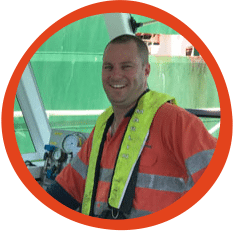 Returning to Western Australia in 2003, Antony worked for several large diving companies, gaining significant experience in shipping, maintenance and construction. 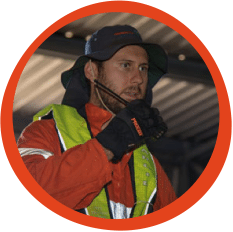 Antony joined Fremantle Commercial Diving in 2006, and as a Diver, Supervisor and later Operations Manager, gained an extensive knowledge of potable water services throughout the state. With his passion for job planning and safety, Antony expanded the business into new areas of technical and specialised diving while maintaining an unparalleled commitment to safety across all areas of the business. Becoming Contracts Manager, Director and later Managing Director, Antony’s vast knowledge of several specialist fields of diving assists clients in planning a diverse range of projects. Jeremy began his diving career in 2005 in the South Australian aquaculture industry (southern bluefin tuna and abalone), before moving to Western Australia in 2010. Commitment to excellence, loyalty and an ability to achieve results under the toughest of conditions saw him rapidly progress to supervision and project management for clients in both the onshore civil and mining, and offshore oil and gas industries. 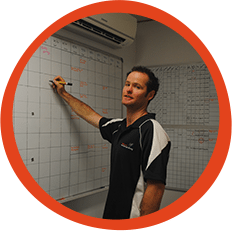 Jeremy started at Fremantle Commercial Diving in 2010 and spent many years as a Diver and Diving Supervisor and has now returned to the company to drive business development and client engagement. Jason began his career as an ROV technician in 2009 after completing an IMCA certified ROV Pilot/Technician course. 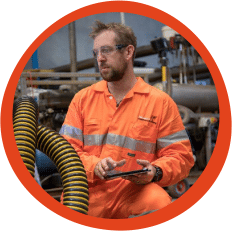 After relocating to Australia from the UK in 2010 Jason has endeavored to focus his skills by commencing an Engineering Degree and in 2016 becoming a certified ADAS part 3 commercial Diver. With a strong interest and understanding of electronic and Robotic systems and mechanics, accompanied by a keen eye for development and problem solving, Jason has quickly become valued member of the FCD team. As the company looks to the future Jason is sure to play an integral role in the application and development of our robotic department. Edmund began is commercial diving carrier in 2013 working in the onshore civil construction sector in Tasmania. Edmund has extensive experience in underwater construction, inspection and potable water diving. In 2015 Edmund joined the Fremantle Commercial Diving team and began rapidly up-skilling in the areas of equipment maintenance and repair, completing his Kirby Morgan endorsement in the United Kingdom in 2016. With a background in both electronics and information technology, and a working knowledge of mechanics and small engines, Edmund brings a diverse skill set to his role. He has a keen eye for detail and enjoys the technical challenges associated with his position. Steve spent 25 years in the Iron Ore mining industry predominantly in the area of Emergency response, the last 15 years of this in the position of Supt, Security & Emergency Management. During this time, Steve was responsible for regional planning, contract management and a member of the Crisis & Emergency Management Team. Over this period, he has gained valuable first-hand experience on many aspects of the mining industry. Steve joined FCD in July 2016 to assist in an alignment to industry project and with his experience has since taken on additional roles in HSE support, Contract Management and Field Leadership including Emergency response training. Mark began his career in the automotive sector as a light vehicle mechanic in 2000. 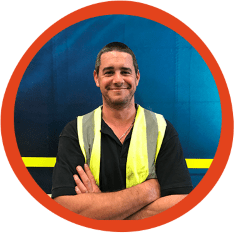 After completing his apprenticeship in 2003, Mark spent 15 years in the automotive industry gaining extensive experience in the diagnosis and repair of all light vehicles, trucks, boats, motorcycles and fixed/mobile plant, with the past 7 years spent in management roles. Mark has a passion for the ocean and along with years of recreational boating and diving he has been an active crew member for the Fremantle Sea Rescue since early 2018. 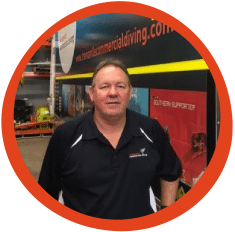 With the goal of moving his career into the marine industry, Mark joined the Fremantle Commercial Diving team in July 2018 as our Workshop Supervisor. With an extensive and diverse skill set honed over 18 years, Mark has taken control of the maintenance and repair of FCD’s extensive equipment inventory for both diving and robotics.